The BiteNot Collar looks like a big improvement over the old cone or lamp-shade Elizabethan collar vets usually use to keep animals from pulling out stiches or pulling off bandages. 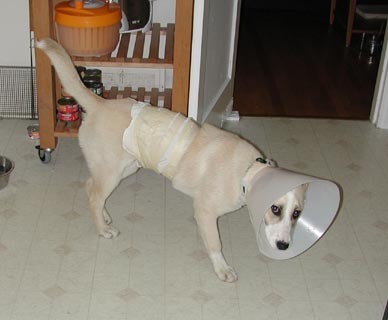 The BiteNot Collar avoids all the problems that come with the Elizabethan collar like reduced vision, hitting furniture, etc. 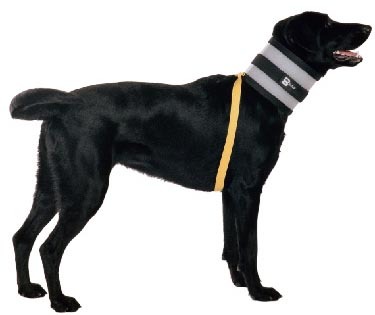 with the collar, and difficulty reaching food and water bowls. Shortly after we got Saffron, we found out she hadn’t been properly restrained after she was spayed–in fact she was driven home from the vet in the back of a pick-up. She had to have a compression bandage(a towel with masking tape wound around it) and an Elizabethan collar. I think she worried about what kind of crazy people she was living with now who would put her in such an crazy get-up. We all would have been a lot happier with the BiteNot Collar. Les’ Bon Ribbon and Accessories has tons-o-ribbon. 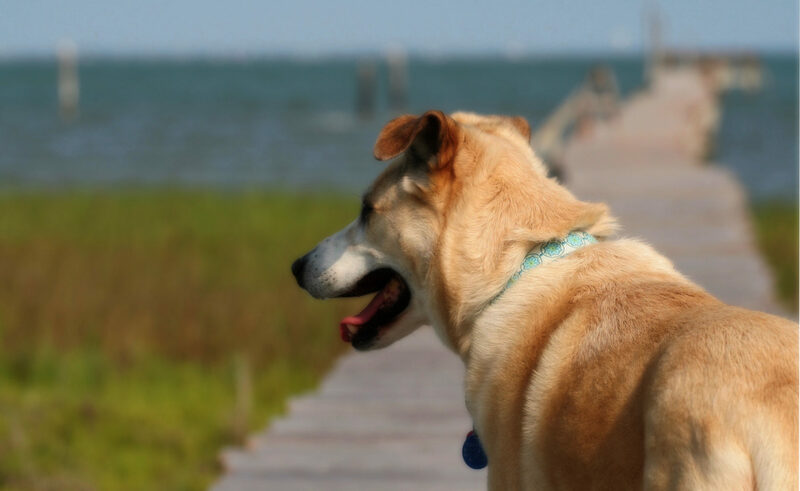 A great source if you want to make your own collars and leashes. 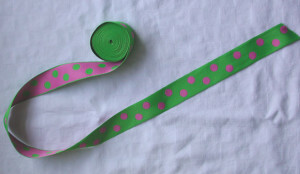 I ordered some of the green with pink polkadots.